CLOSEOUTS. 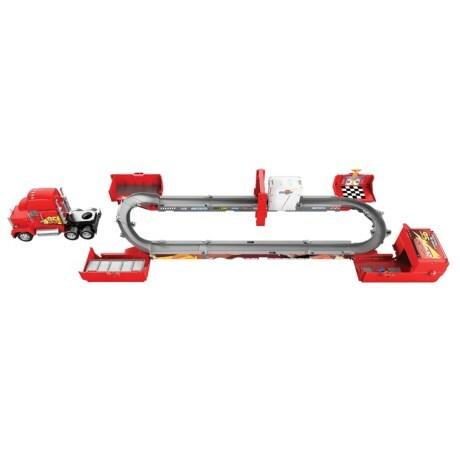 With two ways to play in one cool toy, Disney-Pixarand#39;s Cars Super Track Mack can be pushed around as a truck and trailer, and when youand#39;re ready to race, the trailer transforms into a racetrack. Available Colors: SEE PHOTO.